Our aim is to ensure the lowest tax legally payable for all our clients. We provide tax planning services to help legally minimise and or defer your tax payments. Everyone knows what can happen if you lodge incorrect tax returns. It's not worth the risk. And tax can be very complicated, especially if trusts, investments and Capital Gains are involved. So don't let inexperienced and unqualified assistants do your return, which is what happens at many accounting firms. - insist on an experienced CPA accountant and be assured that you're claiming your maximum legal entitlements. 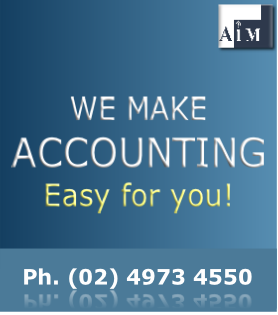 At AIM Accounting, only experienced CPA accountants prepare your return, accountants with many years in public practice, so they know exactly what they are doing. We can help you to set up and maintain a Self-managed Superannuation Fund (SMSF) so that you can cut out expensive management fees and invest your capital in the areas you choose. Click here for more information on SMSF’s. 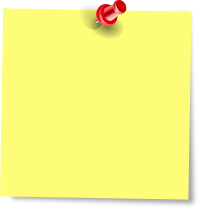 Advice across a wide variety of situations for both regular or one-off transactions. For example, the sale of shares or property, purchase of vehicles or equipment, buying or selling assets, or selecting the best tax structure for your particular circumstances. We can also help you with such things as budgeting, cash flow, debt control, liasing with creditors on your behalf to restructure debts and negotiate informal arrangements. Fully qualified CPA Accountants, so you know that you're getting good advice.